Recently the new opportunity has appeared for OpenWebGIS users to download source code for desktop Windows&Linux operating system from GitHub. Please read more about it in the article "Source code of OpenWeGIS on GitHub. Initial commit." Later the new version of OpenWebGIS for Android operating system was created. 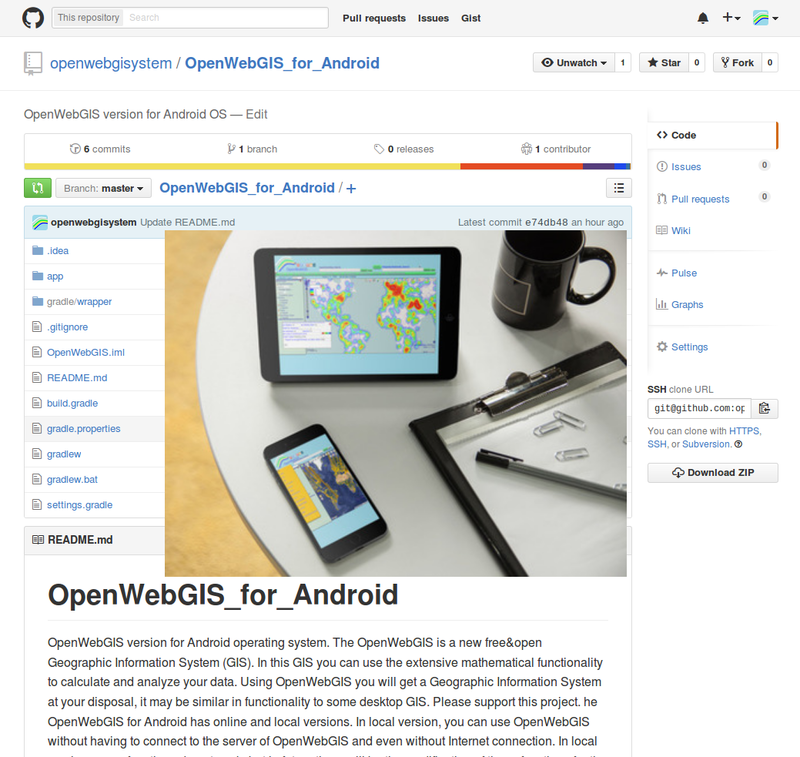 You can read about it in details in this article "The OpenWebGIS now as Android app". Ready to use Android apk file for your mobile devices is available for downloading at the following links: mobango.com, aptoide.com, getjar.com and itch.io. And now it is possible for you to download source code of OpenWebGIS version for Android OS also from GitHub. If you download this code in zip format and unpack, then you can use this version in your work on desktop Windows&Linux operating system if your start in your browser file "OpenWebGIS_for_Android-master/app/src/main/assets/start_openwebgis_en.html.